Vietnam’s highest mountain and also the highest in Indochina, Fansipan (3.143m) in the Hoang Lien Son range, Sapa town about 10km from Lao Cai. Only a few years ago wanted to conquer it is still very difficult, now has become much simpler, because we have a team of experienced and professional organization tuor help you conquer Fansipan peak. The natural scenery is spectacular, so many streams in the forest that lines the cool clear water flowing over rocks heaving can relieve the burning pain when climbing, many old forests with trees strange shaped test, the bamboo forest, bamboo forest intact natural wild character is romantic in the mist clear. End of day one leg climbing a stop at a small shack on the flat land around the forest beside a murmuring creeks year round. Pick up at your hotel or my office at 19:30 – 20:15 and transfer to Ha Noi train station catch the night train to Lao Cai ( Train time : SP7 / 20:35 – SP1/21:10 – SP3.21:50) . Overnight on the train. 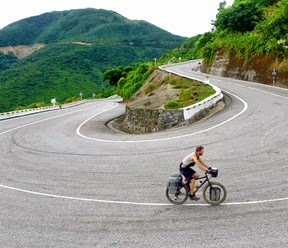 Jeep to silver waterfall, Tram Ton pass – from this hightest pass in Vietnam, starts the strenuous climb to the peak. 8 hours through primitive forest, many small streams and bamboo forests…reach the top of 2.800m, make tents, and prepare for dinner. This is the 1st night for travelers, guide and porters to seat friendly close to each others beside the fire to enjoy the tasty moment that all have once in the life of experience. At 6:00pm, you will be transfered by a tourist shared bus to Lao Cai train station, then take the night train back to Hanoi.